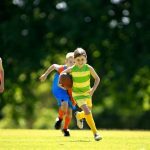 A kid’s height is determined by many factors, genetics being the main one. But, did you know that eating the right foods and maintaining a healthy nutritional balance also plays a part? 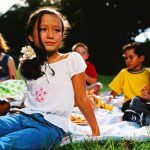 From the moment of birth kids will typically grow an extra two and a half inches each year, with that number often doubling for boys especially, between the ages of 13 and 16. 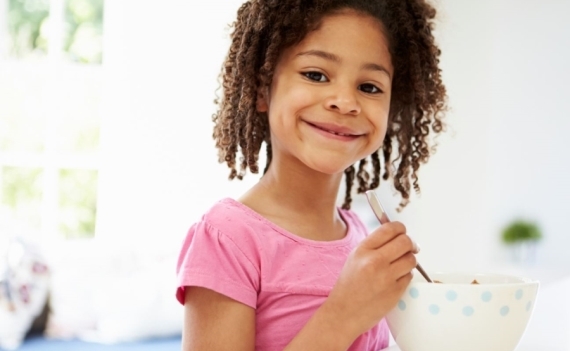 Grains, proteins, fruits, vegetables and milk are key players in helping your kids grow tall and strong. But kids can be picky when it comes to food so here are five, kid-favorite foods that will satisfy those growth spurts and ensure your children get all the nutrients their bodies need. A great source of vitamins, calcium and fiber, a bowl of whole grain cereal enriched with milk is a power packed way to start the day. When plain, and combined with dried fruit, it also makes a great snack. There are a lot of different cereal options out there so, when choosing the one that’s right for you, be sure to check the label and avoid cereals that are high in sugar or contain artificial colors or flavors. A protein packed snack filled with calcium, zinc, vitamin A and B12, cheese provides the building blocks needed to form strong muscles. Using a cookie cutter, try cutting slices of cheese into fun shapes and skewering them onto toothpicks with berries and vegetables. For kids that are lactose intolerant, Swiss cheese and aged cheddars contain little or no lactose and are known to be better tolerated. Packed with fiber, smoothies are a yummy way for your kids to get their daily dose of fruit. Use non-fat vanilla yogurt, 100 percent orange juice and a banana as a base, then feel free to experiment with variations of frozen fruit in flavors that your child likes. Bananas are packed with potassium and are a healthy heart food. 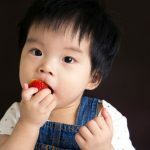 build If your child prefers berries, opt for strawberries or blue berries, both of which are an excellent source of the vitamin C necessary for maintaining a healthy immune system. Vegetables are one of the most challenging foods to get your kids to eat, but by making them fun and more visually appealing your kids are more likely to indulge. Use a crinkle cutter to cut carrots into strips and bake them with a honey glaze until they are partially soft. Serve up with a flavorful dip such as a peanut butter based one. Carrots are packed with beta carotene which is converted in the body to vitamin A. Vitamin A, along with the other nutrients found in this orange superfood such as calcium, phosphorous and magnesium, help to build strong bones and synthesize the protein needed to strengthen muscles. 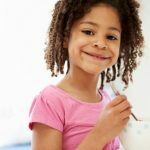 With more than 345 milligrams of calcium in one 170 gram container of yogurt, it is one of the best sources of calcium needed for healthy bone growth. You can eat it on its own, mix it with granola or use it as part of the base for smoothies and many scrumptious dips. You can also add a bit of your favorite fruit to make it even more appealing and delicious. Have you got any nifty tricks or scrumptious recipes that make eating time more fun for your kids?